Welcome to Iron Horse! The HOA provides many services designed to add value to our homes and lifestyles. Please contact Mindy Gutierrez, HOA Manager, for assistance with any road, water, or other property needs. Contact Andrew Moshier or any Board Director if you would like to discuss HOA policies or procedures. Stage II Fire restrictions were lifted on August 29, 2018. Iron Horse Security is staffed 24/7 throughout the year, and is based out of our Welcome Center at the entrance to Iron Horse. Staff is continually roaming the entire campus, with additional patrols during summer and special events. Whether we have personal emergencies, notice something worth reporting, or just need a friendly tow out of a ditch, Security is available to assist! Our HOA owns, operates, and maintains the Iron Horse Community Water System, for both domestic and irrigation usage. We enjoy water rates lower than the City of Whitefish, the provider of our sewer services. Iron Horse roads are privately owned and maintained (allowing public access), with asphalt overlay and chip sealing performed on a planned maintenance basis. With aggressive snow plowing, street washing, and maintenance patrols, our roads are impeccable year round. Our HOA maintains over 100 acres of mostly forested common areas within the community, and performs regular thinning, fuels reduction, and noxious weed control. Emergency plans are maintained for many types of disasters, including fires or floods, and are coordinated with the City of Whitefish. In the case of health emergencies, our Security Staff is available to assist first responders. Our HOA Design Review Committee reviews all exterior property improvements, and provides thoughtful, detail-oriented approvals prior to commencement of construction. 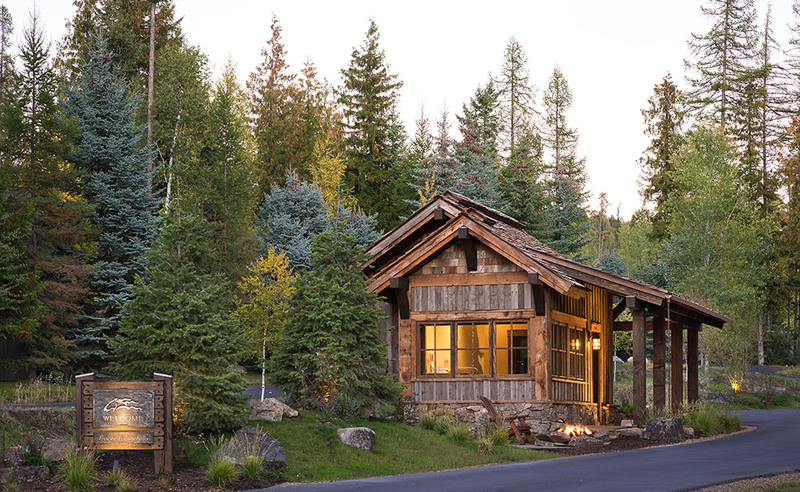 Iron Horse is a neighborhood of varying custom home styles appropriate to a Montana mountain environment. Our Design Guidelines provide flexibility for our custom home designs, while enhancing or safeguarding the integrity and value of our neighborhood and existing homes. Annual dues have been $2,500 since 2009, and are anticipated to remain at that level for several years. Our HOA is financially strong, with over $500,000 in reserves (over 50% of annual revenue). Whether you are a full time or seasonal resident, know that HOA Management and Security Staff are here and available to assist and protect your property and loved ones.